The No. 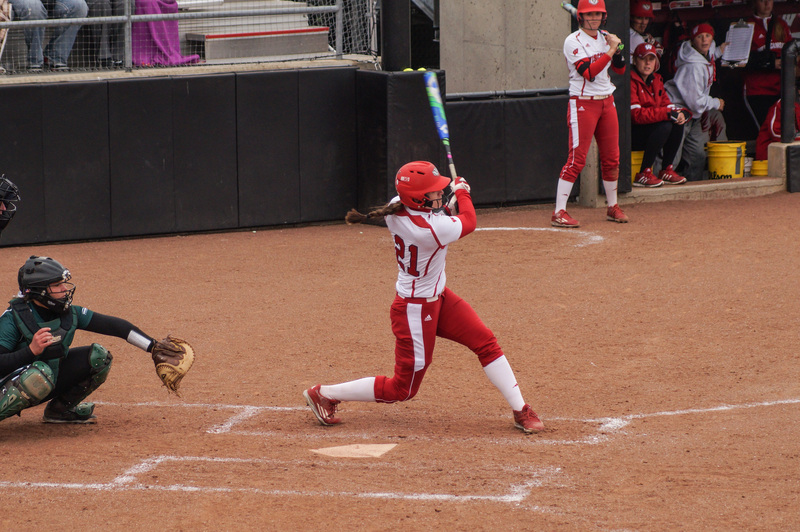 23 University of Wisconsin Softball team is off to one of their best starts in program history after going 17-3 in their first five non-conference tournaments. After losing star player Kelsey Jenkins to graduation last season, the Badgers were in need of another offensive spark plug as they set their sights on making the NCAA for the third consecutive time — something never done in the program’s history. Not only did the Badgers find the one spark plug player they needed, but the Badger’s depth has also shown that it wasn’t limited to one player. From senior Melanie Cross to incoming transfer Caroline Hedgcock, the Badgers have found plenty of firepower. But it has been junior Kayla Konwent leading Wisconsin in power hitting as of late. Konwent — hitting a team-high .485 batting average — already has eight home runs on the year. She is batting a .970 slugging percentage and took the honor of Big Ten Player of the Week two weeks ago. While the offense has been a key part of Wisconsin’s early season success — nine of their 24 games have been run-rule wins — a huge part that has developed in Wisconsin’s favor has been their pitching staff. Not only do the Badgers have a larger and more reliable pitching staff compared to last year — Kaitlyn Menz and Haley Hestekin pitched 92 percent of innings last season. But Head Coach Yvette Healy has found success in using a combination of Badgers to get the job done and prevail as victors. In both of their ranked upsets versus then No. 15 Arizona State and No. 9 Texas, Healy used a combination of pitchers to keep opposing batters guessing and unable to adjust or feel comfortable at the plate. 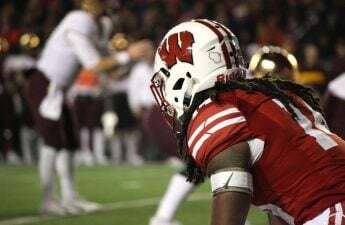 While winning games outside of the Big Ten has given the Badgers some experience versus ranked opponents, most of their remaining games will be conference matchups as they started Big Ten play last weekend against Illinois. Though the Big Ten can sometimes be overshadowed by the undeniable power of the South East Conference and the Pac-12, it is not a conference that should be overlooked. The Big Ten contains four ranked teams including the Badgers. Other teams include No. 19 Indiana, No. 21 Minnesota and No. 25 Michigan. So how does Wisconsin’s early overpowering season match up with their fellow Big Ten opponents this season? The next opponent after Illinois for the Badgers is their one of two remaining non-conference matchups with Northern Iowa. Wisconsin will play their doubleheader home opener Tuesday against the Panthers at Goodman Diamond at 3 and 5 p.m. The Panthers — a part of the Missouri Valley Conference — are 11-10 overall this season with a common game against Illinois. UNI lost to the Illini 9–10 whereas the Badgers went 1-2 in their recent series with Illinois with scores of 15–6, 0-2 and 5-6. As for the numerous Big Ten series left for the Badger’s spring season, Wisconsin will play in seven remaining three-game Big Ten matchups. Their next Big Ten opponent comes against Penn State. Penn State (14-14) played Pittsburgh — a common opponent — back in February and lost 0–2. 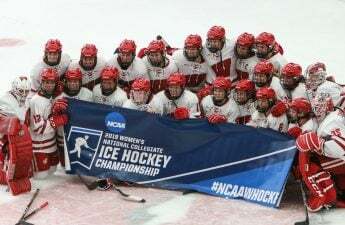 The Badgers beat Pittsburgh twice with a score of 8–0 both times. But Penn State also sits fifth in the Big Ten for team batting average behind Wisconsin’s second-place standing. The Nittany Lions bring power and consistency at the plate and will look to carry it over into the Big Ten season. Wisconsin will play Iowa at home in April for their third Big Ten series. Iowa sits last in the Big Ten for team batting average and has a common game against University of Massachusetts in which both the Badgers and the Hawkeyes prevailed. The Badgers will next travel to Evanston this season to take on the Northwestern Wildcats in mid-April. While Wisconsin sits at the top of the current team pitching statistics with a team ERA at 1.42, the Wildcats are a close second with 1.71. The Badgers and Northwestern don’t have any common opponents so far this season, but the Wildcats were able to upset No. 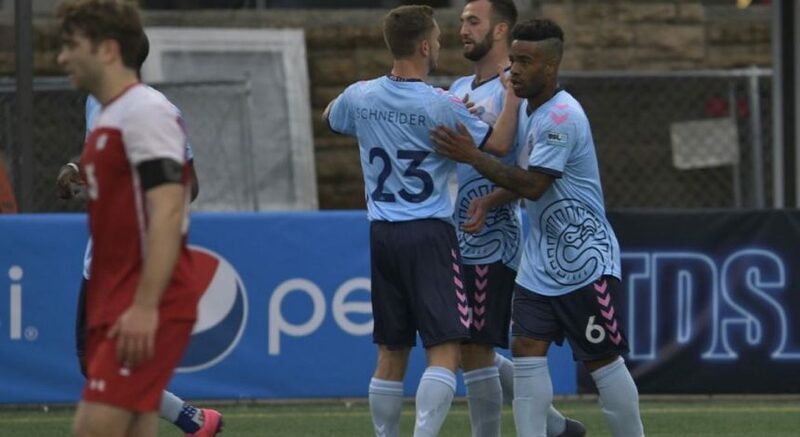 19 and Big Ten rival Indiana last week 5-0 proving their skill and ability to win games against tough opponents. Minnesota will travel to Madison in a doubleheader planned for only three short days after Wisconsin’s series with Northwestern. The Gophers (20-8) have been among the top teams in the Big Ten in recent years and beating them could be pivotal to the Badgers’ standing of the Big Ten and in their rankings of the Big Ten Tournament come postseason. With Wisconsin’s amazing upset win over No. 9 Texas, Minnesota was also able to go 2-1 against the Longhorns in three matchups this season. 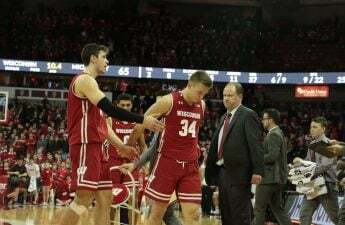 This will be one of the tougher Big Ten opponents the Badgers will have to face this season and with only two games to prove their superiority instead of a normal three-game series, Wisconsin will need to use both games in search of being atop the Big Ten come postseason and add to their resume in hopes to make it to the NCAA tournament. The last remaining three Big Ten series for the Badgers are No. 22 Indiana, Purdue and Nebraska. With all these games being three-game series, Wisconsin will need to win at least two games in hopes of sitting as one of the top ranking going into the Big Ten Tournament in May.